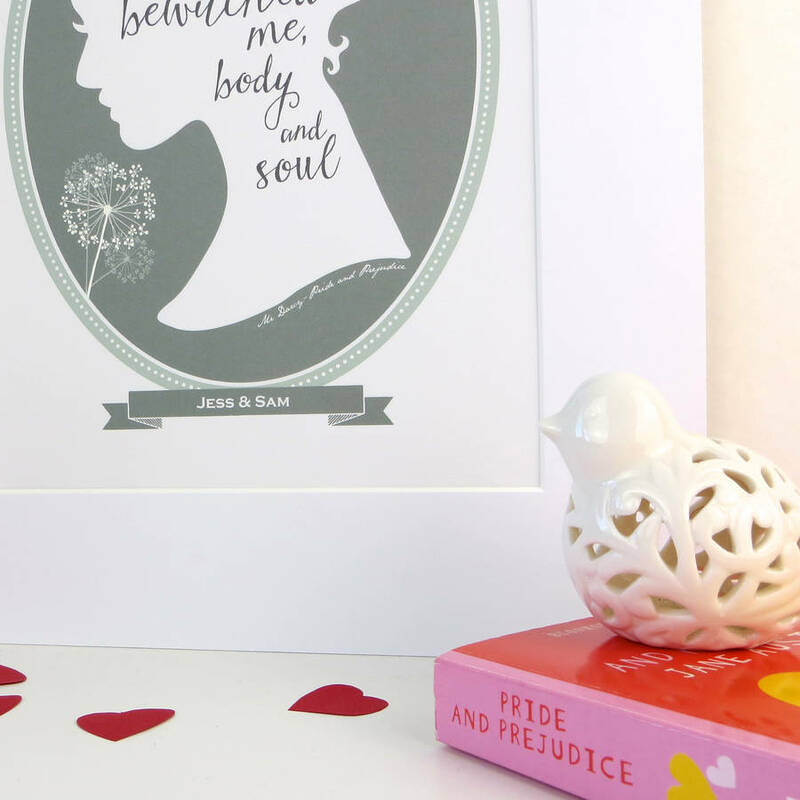 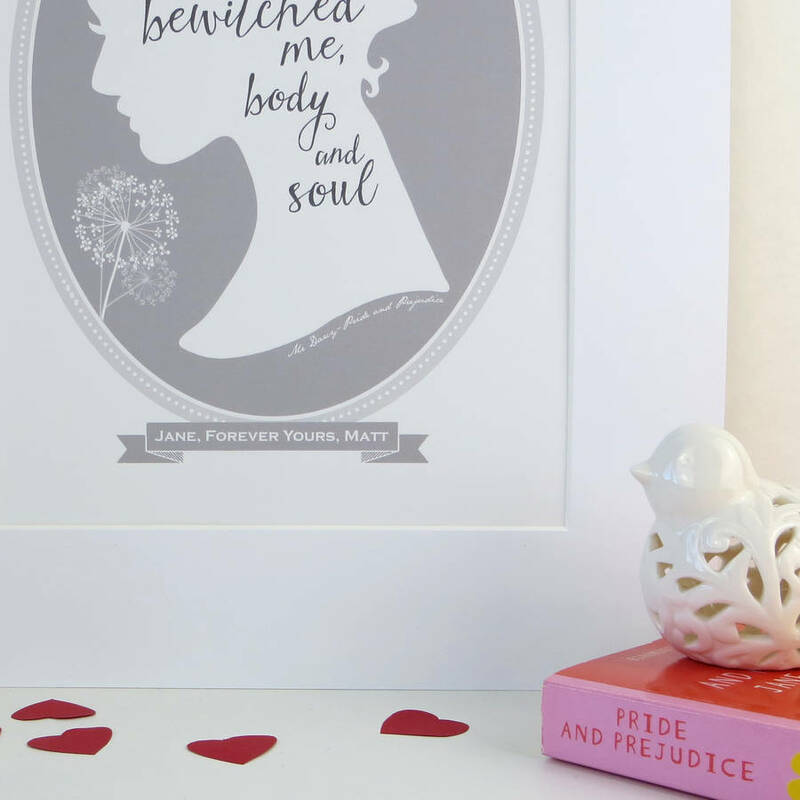 A beautiful love quote from Mr Darcy, taken from Jane Austen's Pride and Prejudice - a perfect love token for that special someone. 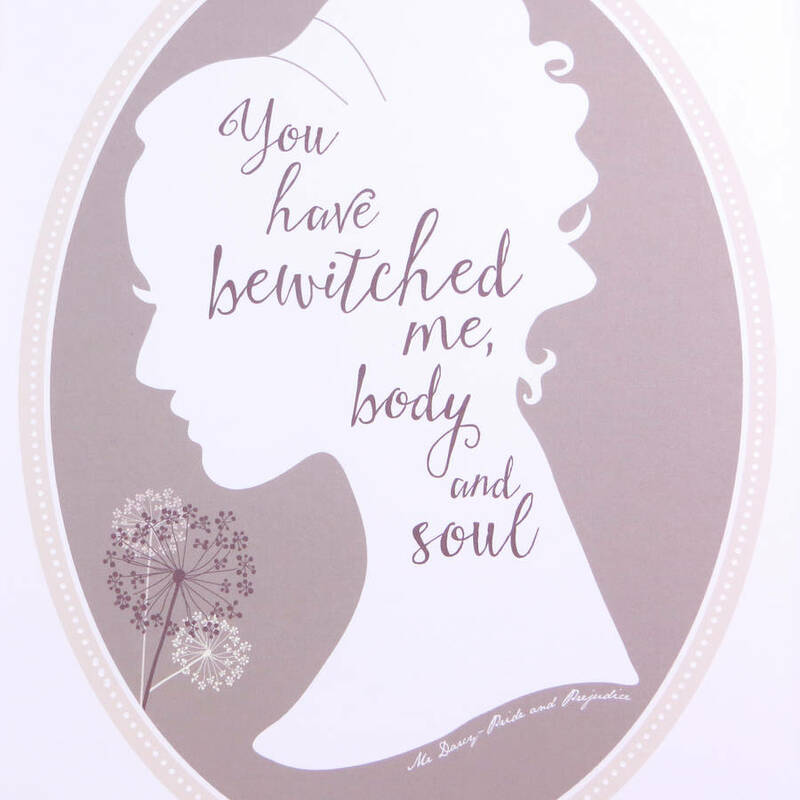 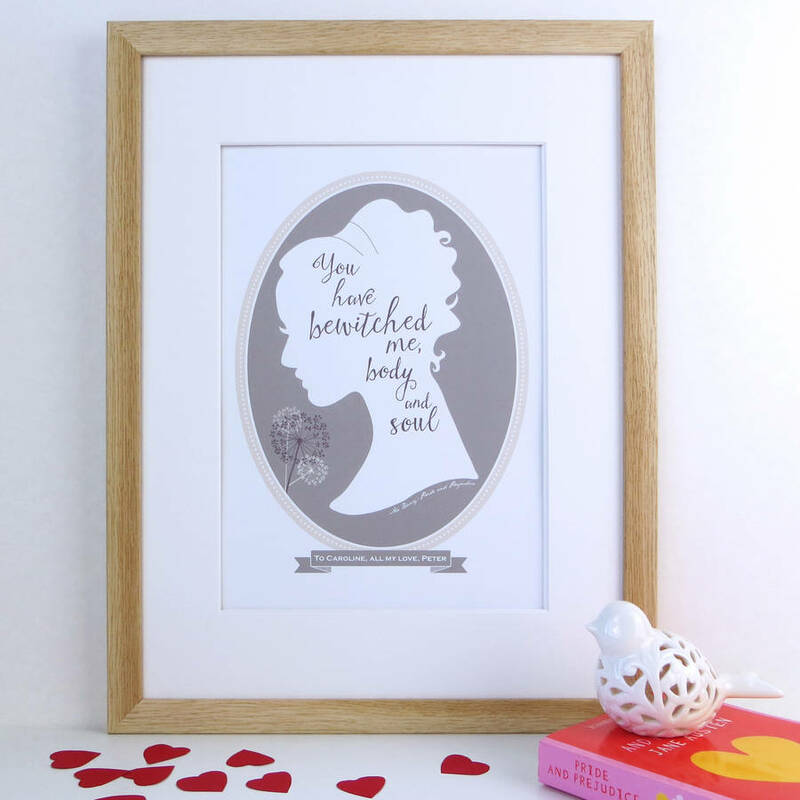 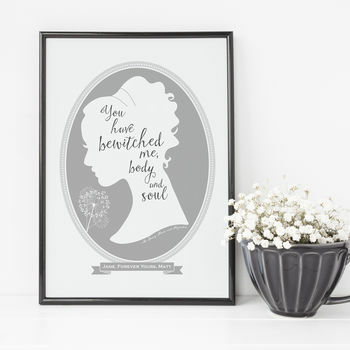 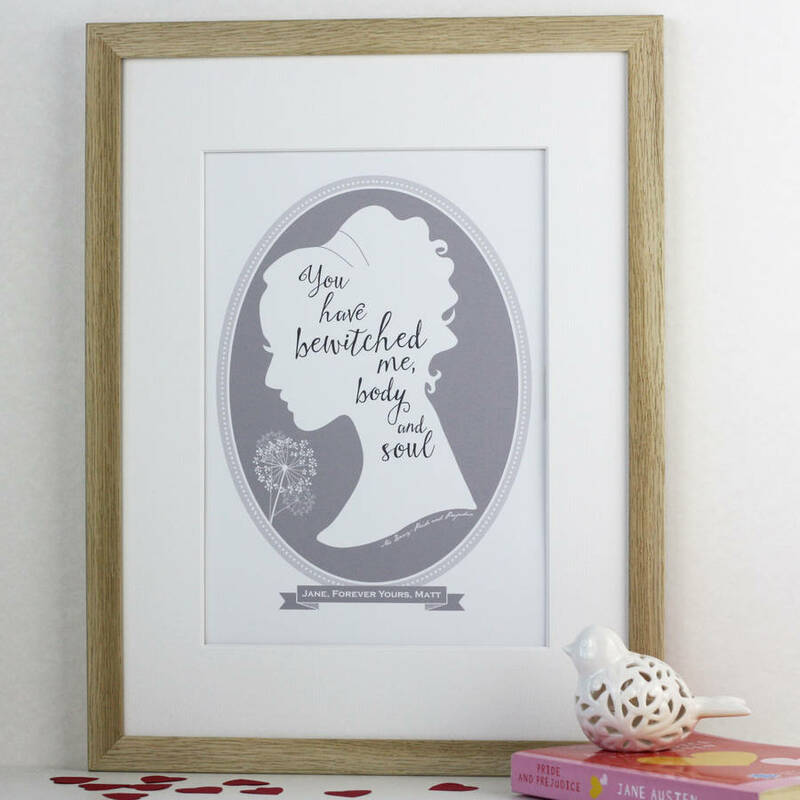 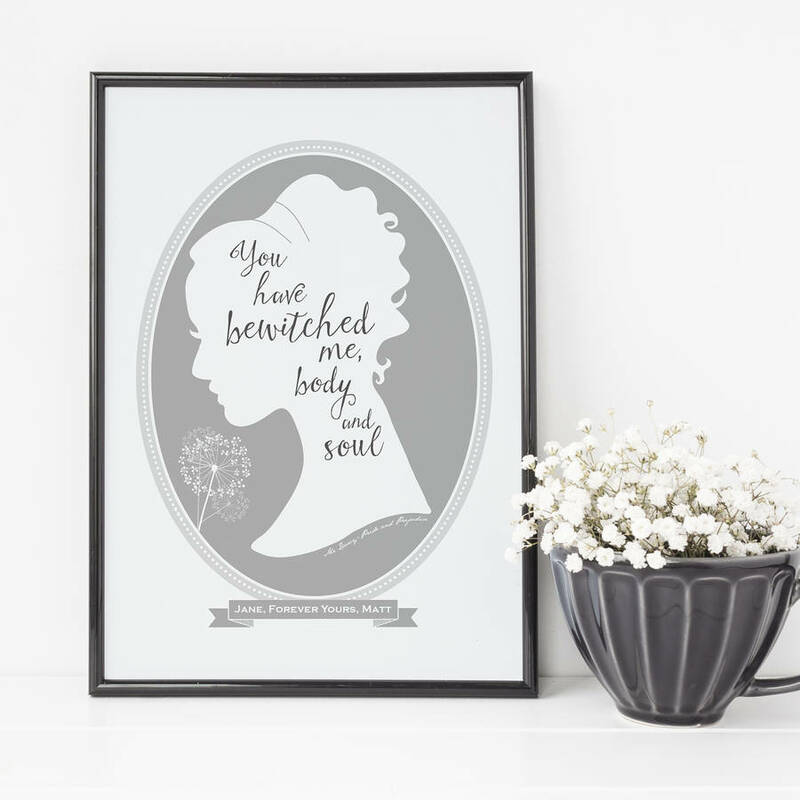 This lovely print features a romantic Regency style oval silhouette portrait with the quote 'You have bewitched me, body and soul', in a calligraphic script. 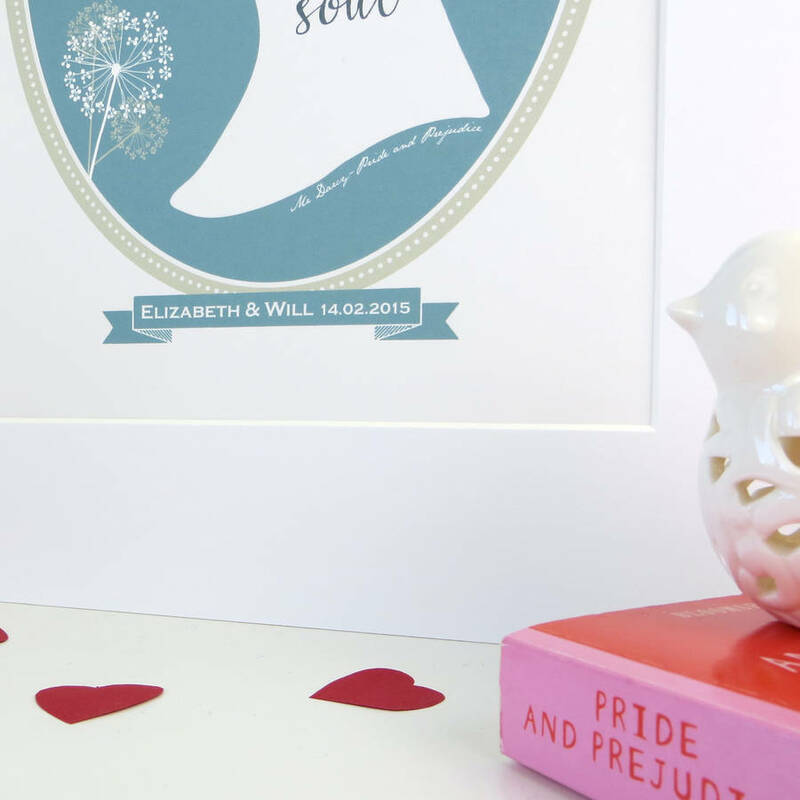 There is space on the 'ribbon' below the portrait to personalise the print with a message, or names and a date perhaps. 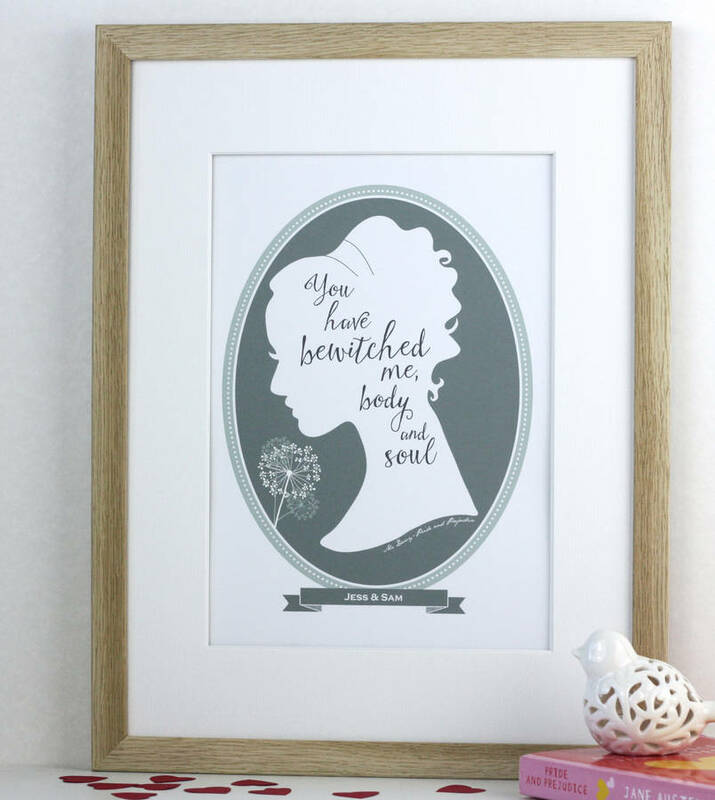 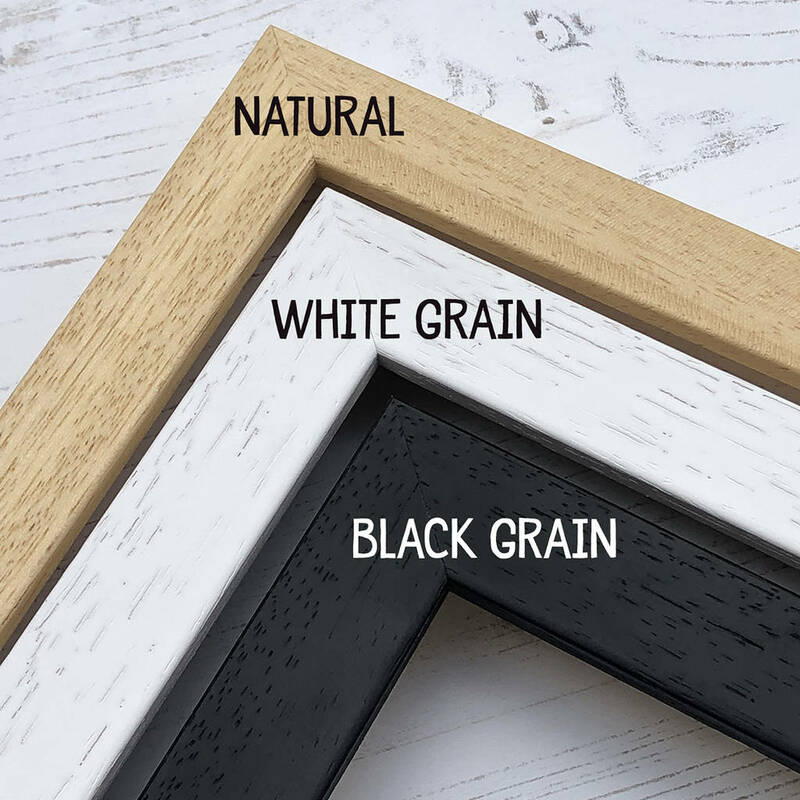 The print comes in four lovely colour variations: Grey, Stone, Green, and Blue.